Warm light cast upon the Crown Point Vista House in the Columbia River Gorge National Scenic Area. 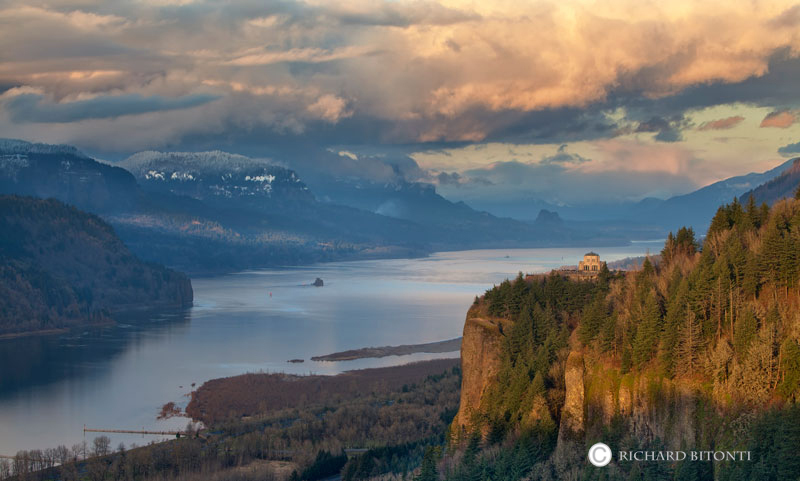 The Vista House, which has a interpretive display of historic and geologic points of interest in the Gorge, is one of the most popular scenic overlooks in the northwest. Photo © copyright by Richard Bitonti.